As pharmaceutical companies start to be held accountable, we need to make sure black communities receive the resources they deserve. I commend New York Mayor Bill DeBlasio for authorizing New York City’s recent lawsuit against the major pharmaceutical companies that created the nationwide opioid epidemic. DeBlasio deserves recognition as the city’s champion on the issue. But at this important moment, we must also stop and think about how the opioid epidemic is specifically impacting black and brown communities. Our media and politicians have been roundly and rightly criticized for the racism betrayed by their reaction to the crack epidemic of the 1980s and 1990s compared to the opioid epidemic facing us today. The stories we tell about drug epidemics matter because they influence how politicians and advocates work on solutions. The story that was told about crack — which devastated urban, black communities — was mostly a tale of gangs, fiends and predators who deserved to be punished. As a result, it was a story that led to mass incarceration and a new front in the war on drugs. In contrast, the story of opioids is mostly one of rural and suburban white Americans preyed on by evil and greedy pharmaceutical companies. This story has also led to a lawsuit against pharmaceutical companies, currently before U.S. District Judge Dan Polster in the Northern District of Ohio, that could award an estimated $1 trillion in damages to the state and local governments who have had to bear the tremendous financial costs of this crisis. The problem with this opioid story, however, is that it leaves out the significant and rapidly growing number of African Americans suffering from this modern plague. It would be a tragic legacy of the racism that has long motivated the war on drugs if the same bias that first painted black Americans as perpetrators now fails to see us as victims. And importantly, leaving black victims out of the popular narrative also risks leaving them out of the legal restitution that follows. The problem with this opioid story, however, is that it leaves out the rapidly growing number of African Americans suffering from this modern plague. There is a grave danger that this may happen. For example, although the large Ohio lawsuit against the pharmaceutical companies involves plaintiffs from more than 200 cities, counties and states across the country, they are largely rural, white communities being represented by rural, white lawyers. The judge in that lawsuit is already trying to settle the case. If that effort is successful, it is these lawyers who will determine how the damages are distributed and whom they are distributed to. In some ways, the situation is reminiscent of the litigation against tobacco companies in the 1990s that resulted in a settlement of $240 billion awarded to the states. This money was distributed unevenly and unequally. As it was with the tobacco suit, the distribution of money from pharmaceutical companies may not be based on how much an area has suffered but on how well it is represented in court. African American communities must band together to ensure that they receive the funds they both deserve and desperately need. New York City’s lawsuit is a step in the right direction, but I hope to work with DeBlasio to keep the case in state court, where black and brown communities can better control their own destinies. To that end, there is a progressive coalition forming of community leaders such as myself, representatives of communities seeking restitution, and attorneys who will offer legal recourse for communities that stand to be poorly served by the main opioid lawsuit. 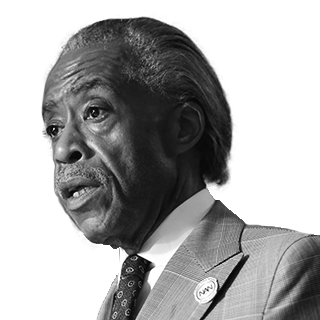 African American communities must band together to ensure that they receive the funds they desperately need. We are inviting cities, counties and states to file their lawsuits in state courts with a coalition of lawyers and law firms working in partnership with NAN Board Member and National Urban League Trustee Lamell McMorris, including Jay Edelson and Tom Girardi. State lawsuits of this kind have historically been resolved more quickly than those conducted in federal courts. And this matters because our communities have no time to waste in responding to an emergency that is getting worse at an alarming rate. In 2016, the African American death rate from opioids in Chicago was 56% higher than the white death rate in Chicago, according to a report from the Chicago Urban League. The crisis is similarly acute in New York City, where 80 percent more African Americans died from opioids in 2016 than the year before. This tragic situation in Chicago and New York City is part of a broader trend in which many more African Americans across the country died of overdoses in 2016 than in 2015, a rate that has been rising for several years. 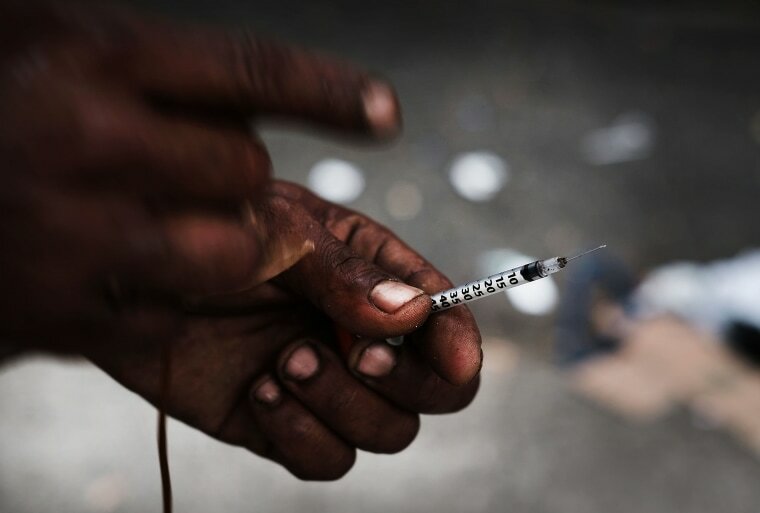 African Americans overdose on opioids fatally at a rate higher than white Americans in several states in the Midwest as well as in West Virginia and Washington, D.C. These are places that quite literally cannot afford to forget that the opioid epidemic is a black story as well as a white one, and that African Americans need to help lead the conversation about how our story ends.